Used and refurbished EqualLogic storage systems are a great way for SMBs and larger companies to save money while deploying enterprise class storage arrays with the reliability a Fortune 500 company demands. Whether you are looking for a production IP SAN, Disaster Recovery option, or a whole solution, Vilis Systems has a refurbished EqualLogic Option for you. All EqualLogic PS6010/PS6510 series we sell come with a one year warranty standard. 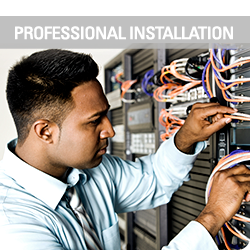 Extend the life of your Dell EqualLogic PS6010/PS6510 series equipment with professional third party support from Vilis Systems. We offer third party EqualLogic support and maintenance contracts with best-in-class service from techs with years of experience with EqualLogic service. Third party EqualLogic warranty support is also available as an option with Vilis Systems. We want to make sure you get the most out of your EqualLogic SAN which is why we provide warranties, support & maintenance, installations, upgrades and access to our EqualLogic parts inventory system. If you’re serious about keeping your Dell EqualLogic system running for years, then don’t compromise with your support and contact Vilis Systems today. The EqualLogic PS6510X combines 10GbE technology with the dense capacity of 48 10K SAS drives for an excellent balance of cost-effective performance and large capacity. The EqualLogic PS6010S with solid-state-disk (SSD) drives provides exceptional random IOPs performance with very low latency for intense database and other very demanding enterprise applications. 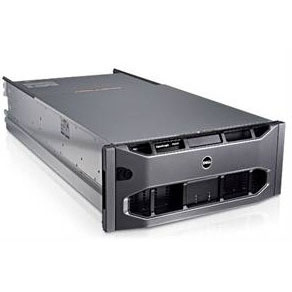 The Dell EqualLogic PS6010XVS virtualized Internet SCSI (iSCSI) arrays are ideal for optimizing responsiveness of applications through high bandwidth and intelligent data tiering within the array, across a low-latency solid-state drive (SSD) and a performance-sensitive 15,000 rpm serial attached SCSI (SAS) hard disk. Optimize performance of tiered application workloads, such as virtual desktops or applications delivered as a service. Deliver excellent user responsiveness for tiered workloads with the help of intelligent data placement across an SSD and a 15,000 rpm SAS hard disk. Balance cost and performance with a combination of an SSD and a 15,000 rpm SAS hard disk in a single array. Deliver up to 10 times the bandwidth per port. Premium 15K SAS performance for high-I/O, large-scale applications, such as heavy Exchange, demanding database and virtual server deployments. Virtualised iSCSI SAN with a powerful balance of performance and capacity for business-critical applications with 10K SAS drives. A solid entry point into the EqualLogic PS6010 series, with high capacity and flexibility at an exceptional cost per gigabyte.